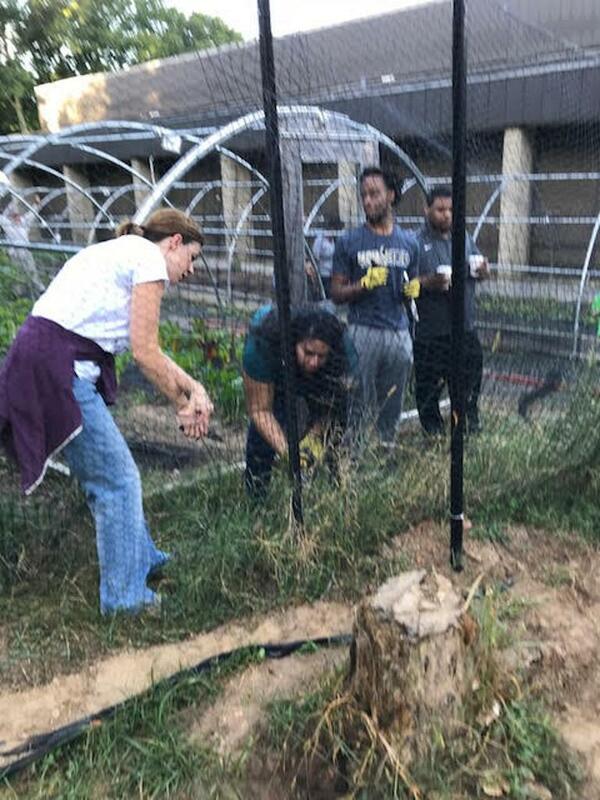 Fourteen high school basketball athletes from Chicago joined Titans players in a community service program, at DC Urban Greens, known as a "Garden in Food Desert." 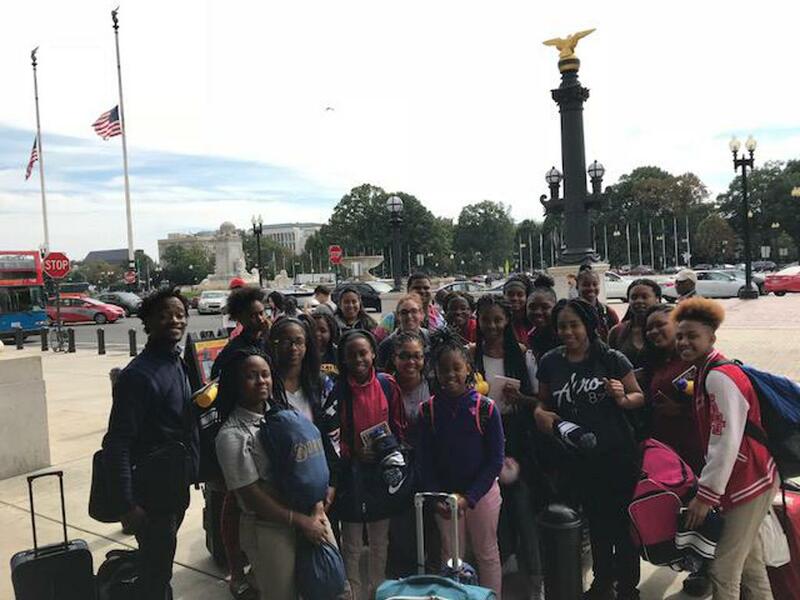 It was part of their three-day visit to D.C. in October, which included tours of major sites and visits to universities. The Chicago visitors, all girls, and many whom had never been out of Chicago, are students at DRW College Prep, in Chicago's North Lawndate neighborhood. 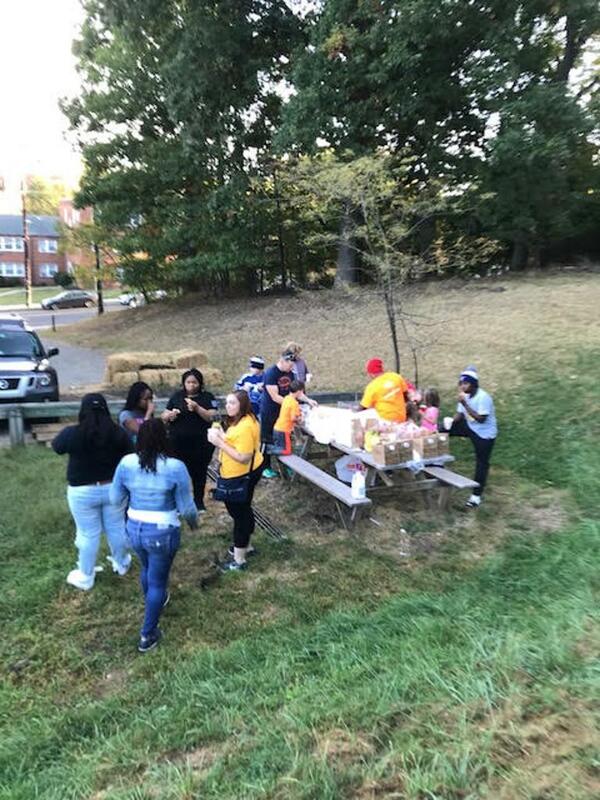 Together, the student-athletes worked in the community garden of the Georgetown Titans’ charity partner DC Urban Greens, preparing the gardens to plant and harvest fresh produce for inner-city residents in the under-served Anacostia neighborhood. Sponsored by the nationally known youth sport training, education and advocacy program Play Like A Champion Today and the community-conscious Old St. Patrick’s Church in Chicago’s West Loop, the experience will emphasize how team sports facilitates character and confidence-building, selflessness, community service and teamwork. The Georgetown Titans Youth Hockey program is a culturally and socioeconomically diverse roster of 70 youth in kindergarten to 8th grade. The organization offers a low-cost, skills-based hockey program to boys and girls in the D.C. metro area, many of whom are not able to participate in more expensive programs. 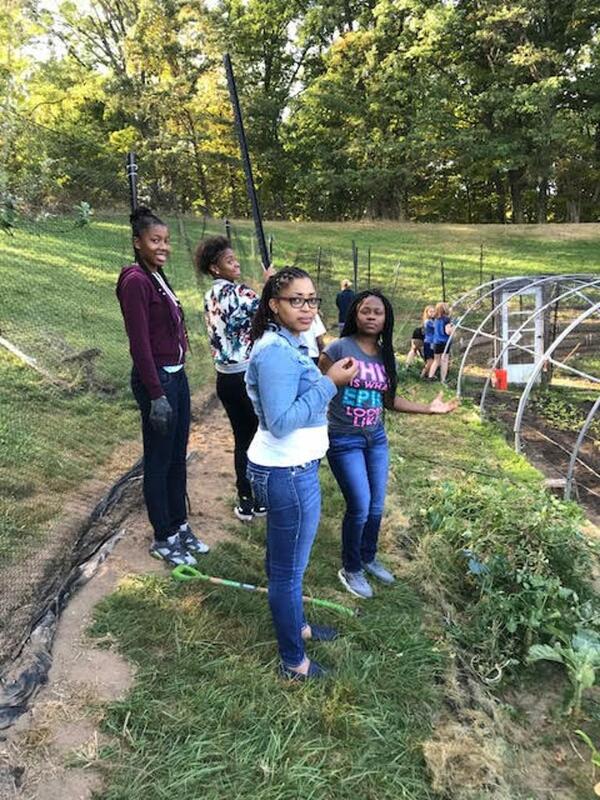 “Our youth are looking forward to meeting the young ladies from DRW College Prep and they’re equally excited about partnering with the players to work in the community garden we have proudly maintained for many years,” said Willy Meaux, founder and director of coaching for the Georgetown Titans. “Our program has always been an inclusive one that uses sports to help youth from many backgrounds build character, broaden their horizons and prepare for their future, which we hope includes going to college. Charles Merrick, director of Recruitment and Enrollment and DRW College Prep girls’ varsity basketball coach, says the 14 young ladies ready to embark on the trip are thrilled and anxious. Merrick added that, because there is a need for more positive portrayals of inner city communities like North Lawndale to help motivate youth, the trip will have positive, long-lasting outcomes beyond his team and school. “They will be able to bring back important information to their peers and neighbors to inspire them as well," he said. DRW College Prep is a member of the Noble Network of Charter Schools. 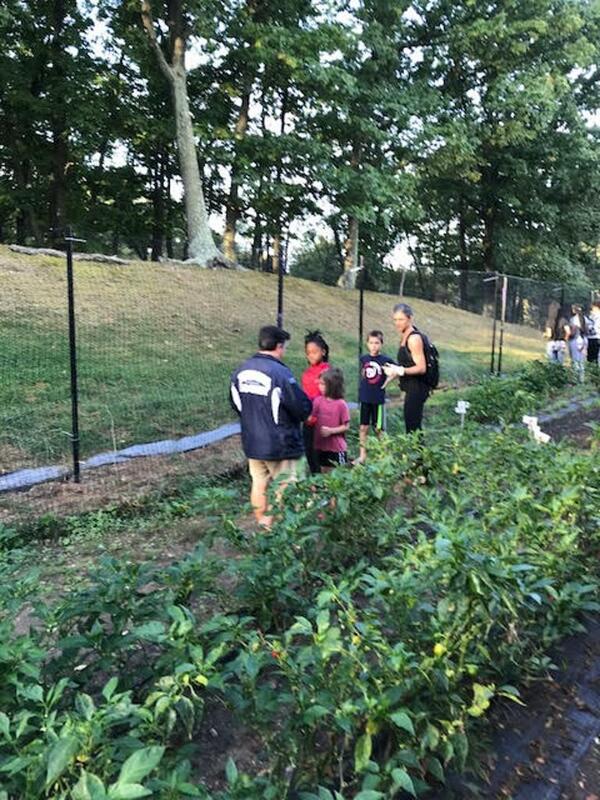 The young ladies on the team will be accompanied by six adult chaperones. The group will travel by Amtrak train. Play Like a Champion Today is committed to building a responsible sports culture that promotes the intellectual and moral as well as athletic development of all student-athletes, especially those from economically distressed communities. The North Lawndale Kinship Initiative, a community development outreach of Old St. Patrick's Catholic Church, also helped make the trip possible. 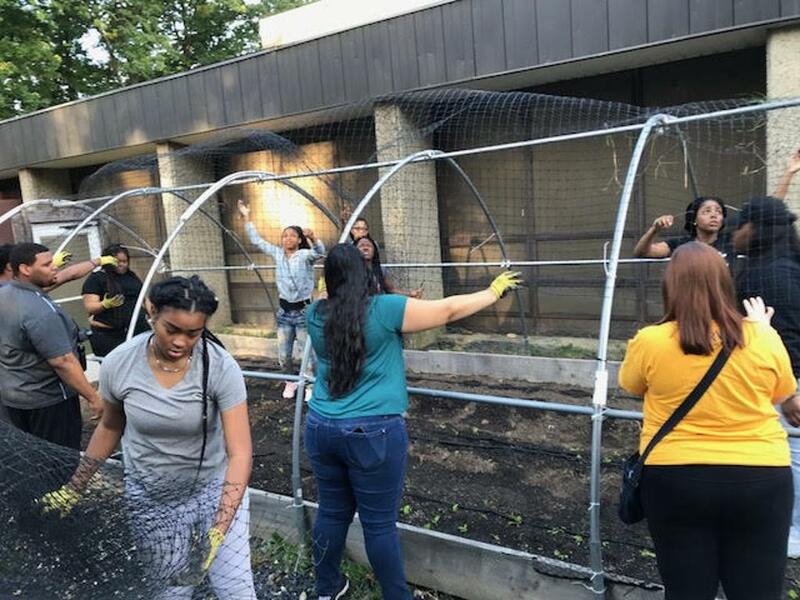 The 6,000- member congregation in Chicago's West Loop engaged to help make the worthwhile experience possible as they frequently do with other organizations in the North Lawndale neighborhood where DRW is located.